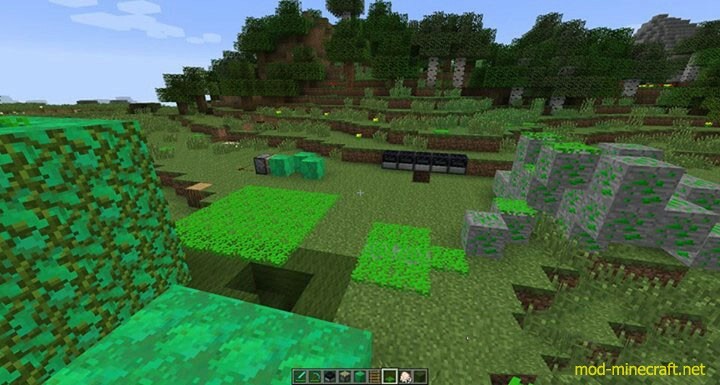 Uranium Mod adds uranium to the game which is a new ore you can mine, and then you can do multiple things with the uranium dust you get from the ore. Uranium Ore: An ore found deep underground (below height 32) that glows subtly. Upon contact, it deals 2 hearts damage. You can destroy floating blocks and items around it, so you mine and use carefully. Drops 2-3 Uranium Dust. Uranium Dust: The dust that comes from Uranium Ore. It can be used to craft Reactors, power Reactors for 1 reaction, place Nuclear Waste, and craft Uranium Blocks. 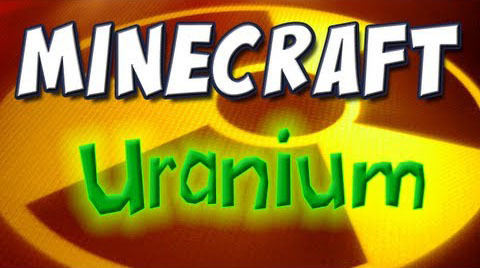 Uranium Block: Very radioactive block! It glows vibrantly and deals 5 hearts damage upon contact. 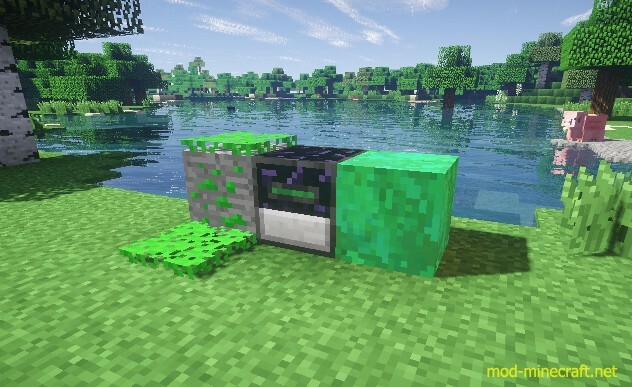 It is great for mob traps, but it also destroys floating blocks and items, so you should use carefully. It can be crafted back into 9 Uranium Dust. 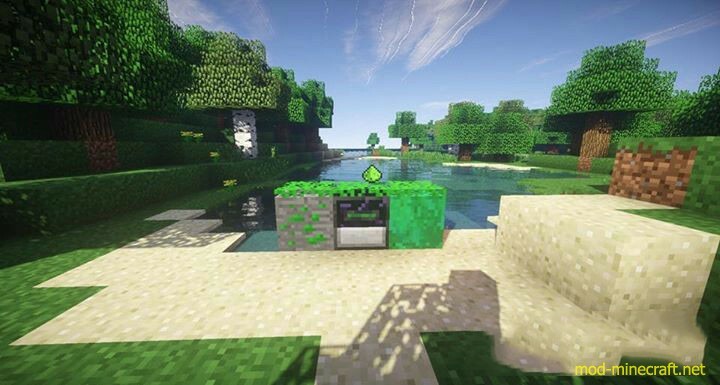 You can turn these on and off via redstone, so they make effective redstone traps and also dynamic light sources. Reactor: Where stuff gets done, it acts sort of like a furnace, being powered by Uranium Dust or Radioactive Coal. You also be careful with this. It might randomly explode, dealing damage but not breaking blocks. 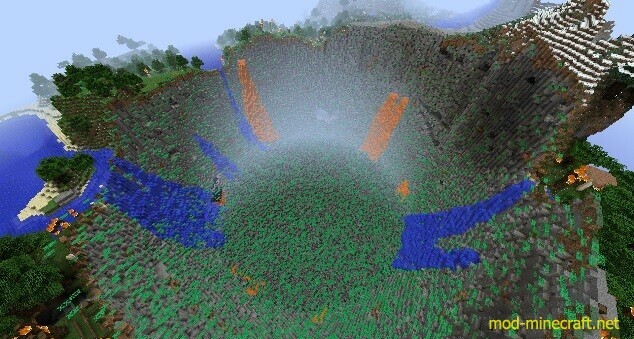 Nuclear Waste grows around it and will spread. It is recommended to keep these in a vault underground surrounded by Obsidian. Reacts Coal to Radioactive Coal, Diamonds to Uranium Gems, and Cobblestone to Obsidian. Nuclear Bomb: Very powerful bomb. You should be careful when dealing with it. It does not give you blocks from things it destroys. Nuclear Waste: Flat block that spreads very quickly, make sure you keep it controlled. Will deal 1 heart damage upon contact, it is good for mob traps. Radioactive Coal: Used to power reactors for 3 reactions. Much more efficient than Uranium Dust. Uranium Gem: Used as the basic item for Uranium crafting recipes. You can make tools, bombs, and more. Uranium Tools: Lasts longer and is much more efficient than Diamond. It is crafted normally, just with Uranium Ingots. Grenade: Explosive skulls packed with gunpowder and uranium. You should use safely. Uranium Paxel: Combined Uranium Axe, Pickaxe, and Shovel. You can do all three jobs efficiently, and is packed into one tool! Mutant: Evil mob that comes from nuclear explosions. They glow in the dark and are very scary. It is not affected by Uranium-related damage. Mutigen: Mutated flesh that drops Mutants. It can be crafted too. When you throw it a Pig, it will become a Zombie Pigman. If you throw it at a Zombie, it will became a Mutant.